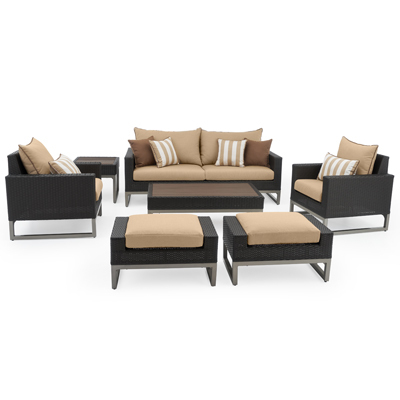 Treat yourself to a relaxing place to unwind, or turn the energy up and utilize your outdoor space to host your next party with this 18-piece Estate Set. The Milo Collection is exclusively designed to feature a traditional woven frame with mixed materials to last long and look great. 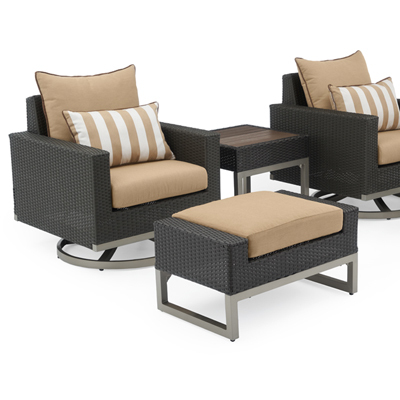 Easy to maintain, this all-inclusive set is the perfect addition to any home. Set includes a 78-inch sofa, two club chairs, two club ottomans, a coffee and side table, a dining table with eight dining chairs, two chaise lounge chairs, and six coordinated accent cushions. 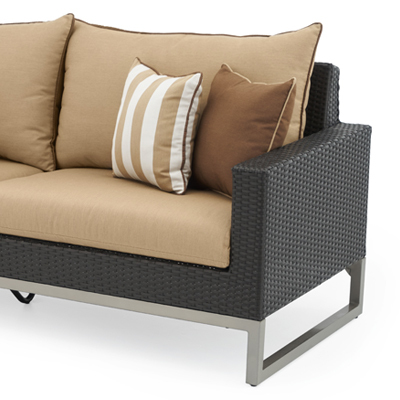 All-in-one outdoor furniture set makes shopping easy. 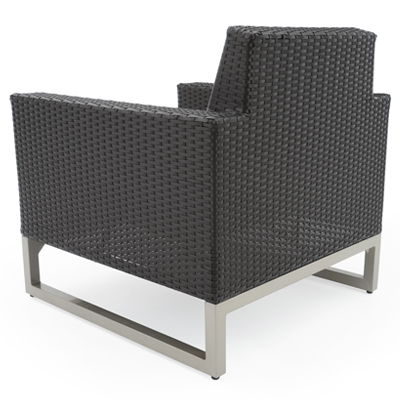 Minor club chair assembly, sofa assembly, dining chairs and table assembly, quick cushion cover attachment.